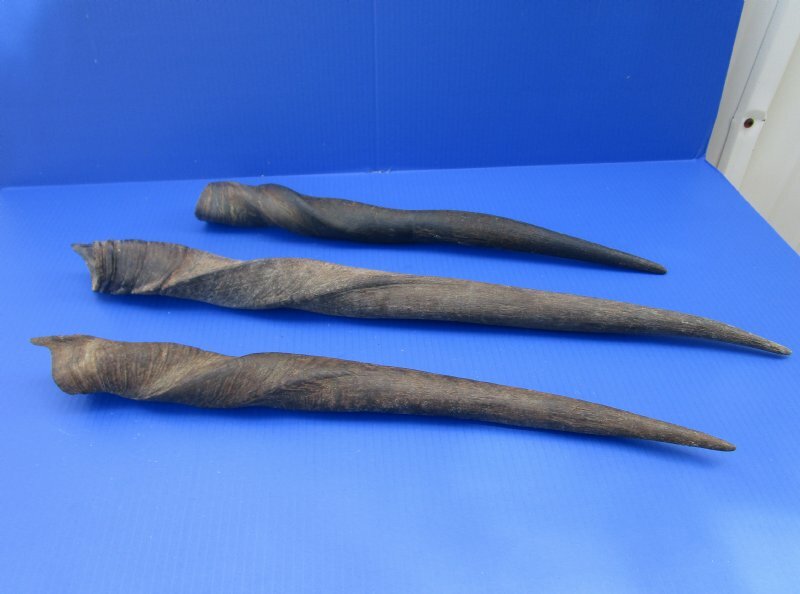 Wholesale Female African Eland (Taurotragus oryx) horns for sale measuring approximately 20 inches to 28 inches in size and are measured around the curve of the horn - not straight. African female eland horns are used for horn crafts. Our female eland horns for horn crafts are a by-product of the farming industry and African Government's culling programs. 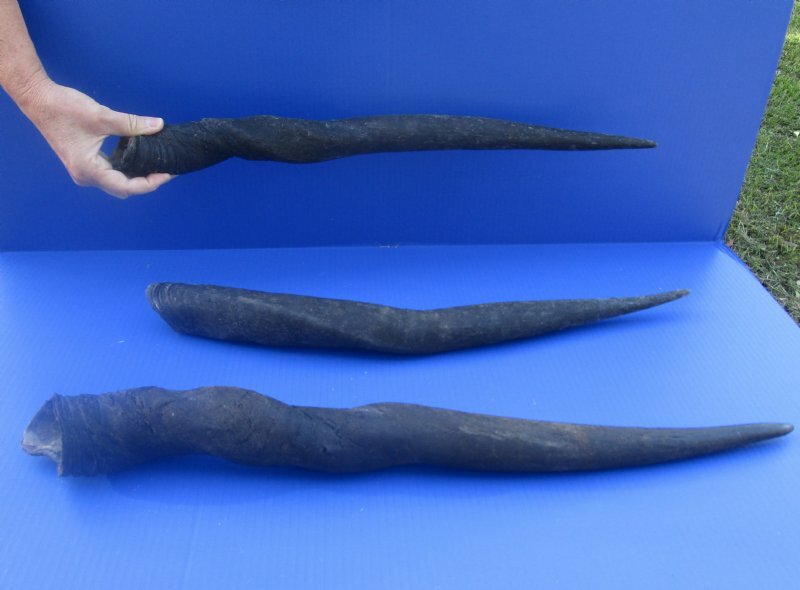 These female eland horns have been professionally cleaned in Africa and cleared for entry into the United States by the U.S. Fish and Wildlife Service and U.S. Customs. 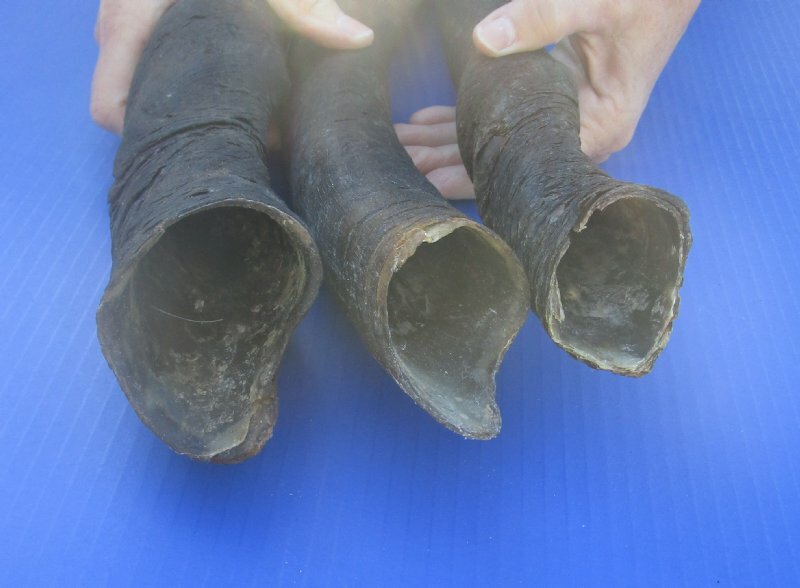 These are real female eland horns and all horns will have some imperfections caused by living in the wild and aging! No 2 female eland horns will be identical. They will vary in size, shape, imperfections and shading.